Buying a new house in Centreville, VA for the first time can be exciting, but terrifying. There’s many things to worry about, like finding the right home and preparing the documentation for the realtor to look over. This process can be daunting, but we of Fairfax Mortgage Investments are there to help you with that. Fairfax Mortgage Investments have been helping Centreville, VA first time home buyers with finding the perfect home since our founding over 30 years ago. We have dedicated our efforts to making the home buying process as comfortable as possible for first time home buyers. With all the grants, programs, and incentives to choose from, we help you find the right loan package to take. When you’re in need of some help, contact Fairfax Mortgage Investments. We guarantee to be with you every step of the way. FHA loans are one of the most popular loans there are. Insured by the Federal Housing Administration, they offer low down payments and good interest rates. 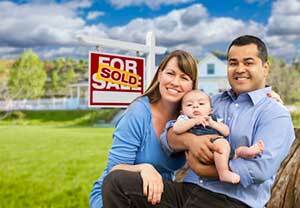 FHA loans are particularly good for Centreville, VA first time home buyers. USDA loans give those of low income a chance to buy a house in the countryside. They offer low interest at a fixed rate along with no down payment. USDA loans are powered by the US Department of Agriculture. VA home loans give those connected to the military a chance to buy the Centreville, VA home of their dreams. It provides low interest rates, along with no down payment. This particular loan is funded by the US Department of Veterans Affairs. FHA Section 203(k) allow Centreville, VA first time home buyers to buy and repair a house with a single mortgage. The costs are combined with the mortgage to allow first time home buyers to afford the rundown house. They also give rather low down payments for loans. 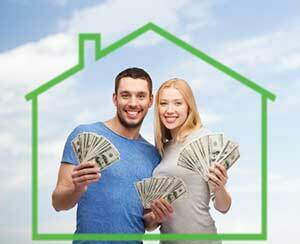 There are many loans to consider when going through the Centreville, VA home buying process. The time it takes is usually 30-45 days to go through the entire process, but our team does not mind that. We work with you all the way until you finally get a home. To get started, get an estimated price of the Centreville, VA home you want, housing costs, and closing costs, then decide a budget based on your findings. Next, find a realtor and have the proper documentation in hand, like pay stubs, bank account statements, W-2s, tax returns, loan and credit line statements, and the names and addresses of previous landlords. Once that’s done, let Fairfax Mortgage Investments do the rest!